While Six-Month Braces has become increasingly popular with our Charlotte area patients who desire a Smile Makeover, there are times that Porcelain Veneers are a better option, or at least an equally viable option. 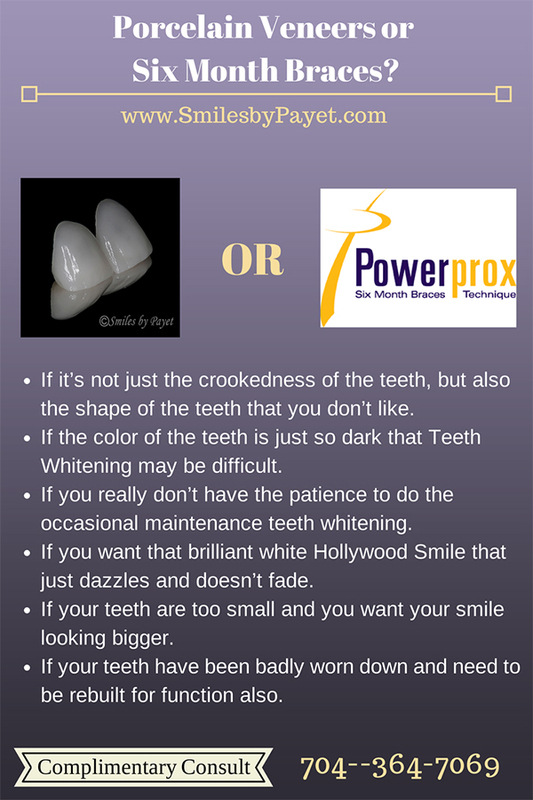 I’ve included a short video of a few Smile Makeovers done in our office over the years to demonstrate what can be accomplished with porcelain veneers. Should you have any questions or desire a Complimentary Consultation of your own, please call 704-364-7069 or Request an Appointment Online.